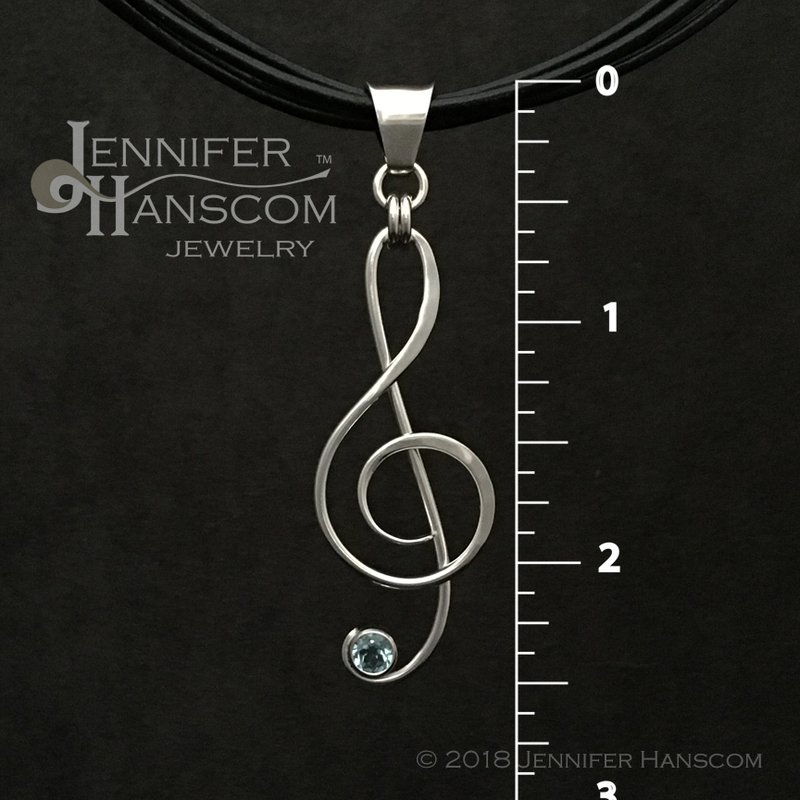 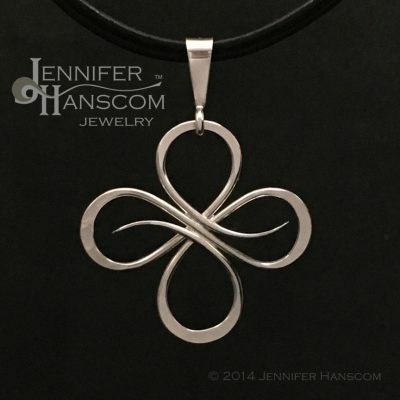 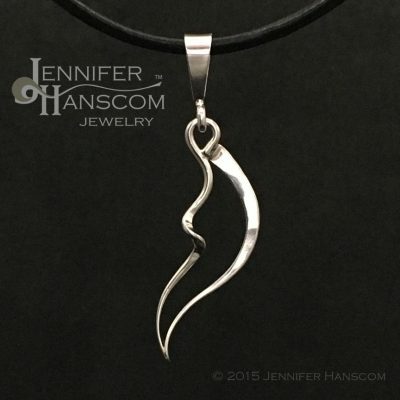 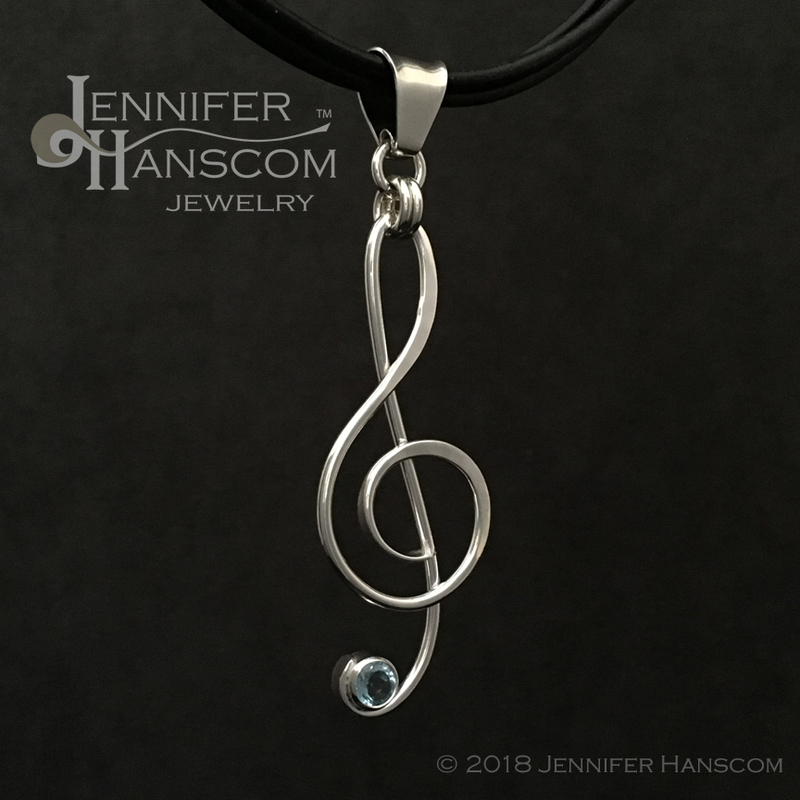 This G-clef pendant is perfect for a song-writer! 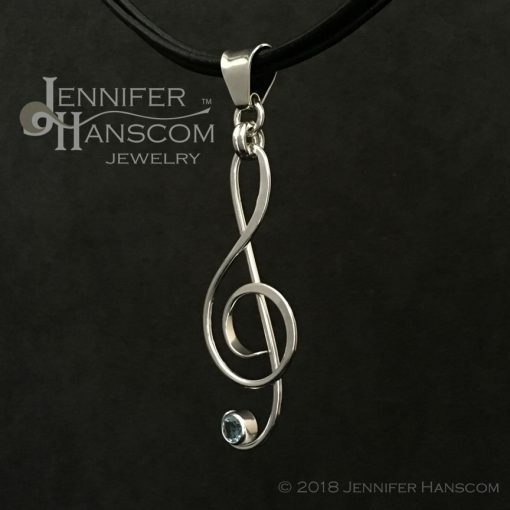 It’s adorned with a Swiss blue topaz, which is thought to enhance creativity and aid in clearly articulating your thoughts. 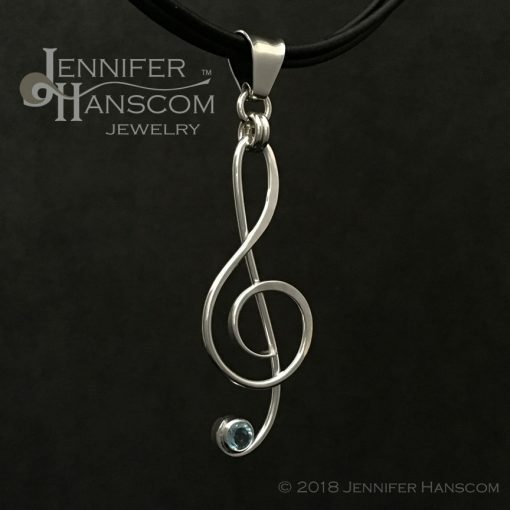 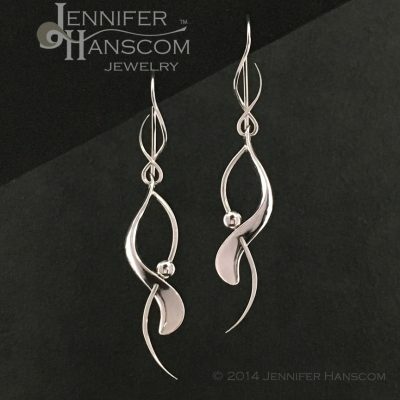 The beautiful blue hue shines bright and looks great with the silver treble clef.